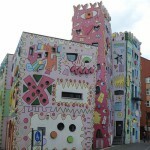 Located in Braunschweig, Germany, beautiful and colorful Happy Rizzi House is a famous tourist attraction, created in 1999 by an American artist James Rizzi. 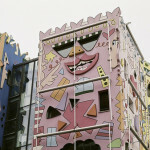 According to mass media, The Happy Rizzi House took two years to complete. 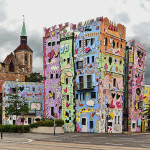 A bricks-and-mortar work of art, a building is without storeys in the traditional sense. 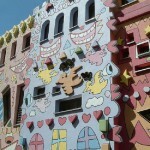 When Braunschweig’s Schloss Arkaden shopping centre opened in 2007, the focal point of the town shifted to the Happy Rizzi House, placed it even more in the spotlight. 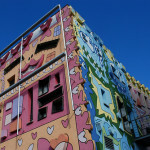 Although regarded as a provocative work of art to begin with, the Happy Rizzi House is now seen as an exuberant transition between busy, modern business buildings and the serene historical quarter. 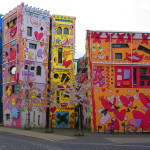 In fact, bright colors can change the appearance of a city significantly. 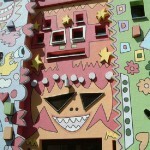 Undoubtedly, the colors of our houses affect our mood, health, and happiness. 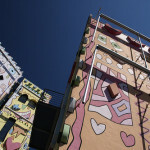 Meanwhile, over the years, the bright colors in architecture becomes more popular. 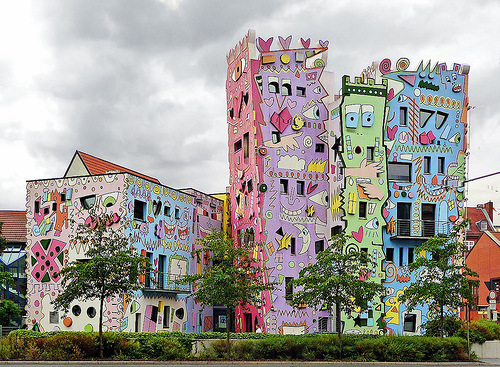 Apartment blocks and public buildings painted in intense colors, transform the cities into kaleidoscope of colorful cityscapes – pink, green, blue, red. Did you know that the human eye can see 7,000,000 colors? Some of these are eyesores. 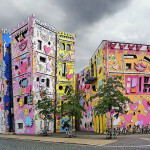 However, certain colors and color relationships can be eye irritants, cause headaches, and wreak havoc with human vision. But other colors and color combinations are soothing. Consequently, the appropriate use of color can maximize productivity, minimize visual fatigue, and relax the whole body. 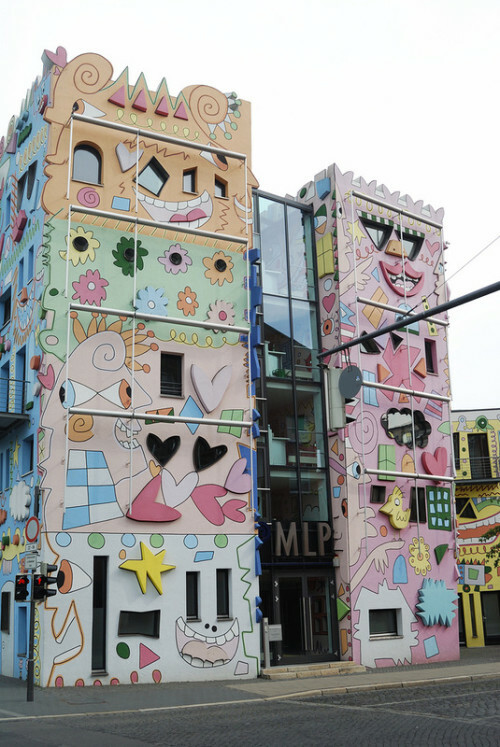 American pop artist James Rizzi (October 5, 1950 – December 26, 2011) was born and raised in Brooklyn, New York. 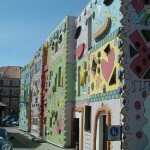 Rizzi was most famous for his 3D artwork. 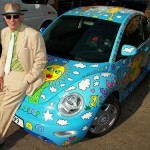 He created a true art brand, a trademark style, recognizable as any in the world. 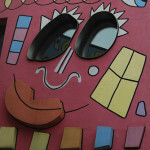 Until his death he resided and worked in a studio in the Soho, Manhattan.